Cuisine is the topic that I want to say the most when I introducing and sharing about the tourism of Hanoi. Yes, if you go to Hanoi Vietnam, I thinking you can not miss the best foods in Hanoi. I also think the delicious foods are one of your hobbies beside the purpose to discover the landscapes, monuments in Hanoi. If you visit Hanoi, you should eat the unique cuisines of Hanoi as Bun cha Hanoi, Bia hoi Hanoi (beer). However, if you have not eaten "Hanoi Pho" yet that means you have not ever arrived in Hanoi Vietnam. In my country, there are so many "Pho restaurants", "Pho shops"... and they are called Pho Sai Gon, Pho Hue, Pho Da Nang, Pho Nha Trang, Pho Nam Dinh... but only "Pho Hanoi" is the most delicious food in Vietnam. Because it has its own taste, and way of processing is unique. What is "Pho Hanoi" and what is it made from, how to cook and recipe... I think perhaps you have read many times in the Internet so I do not write more here. 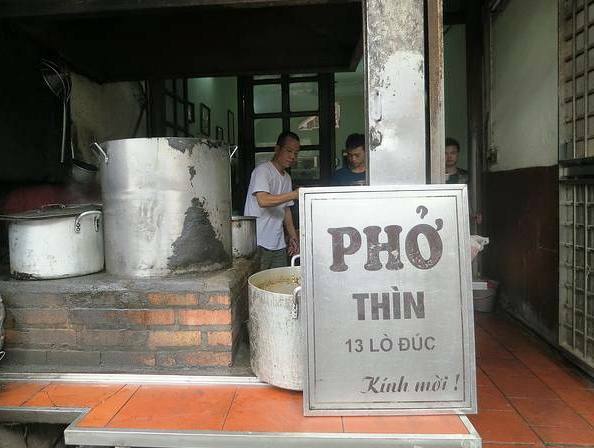 In this article, I just write about the address of the best Pho restaurants in Hanoi Vietnam, especial the best Pho in Hanoi Old Quarter. Pho Hanoi is include three dishes that is made from different kinds of meat: "Pho bo Hanoi" (made from the beef) - "Pho ga Hanoi" (made from the chicken and you can call is "chicken pho" in Hanoi). Both of these two foods are good and you should eat both. There are very many Pho restaurants in Hanoi but just there are two best restaurants, that are "Pho Bat Dan" and "Pho Thin". These are two brands in Hanoi Vietnam for a long time. If you'd like to eat the best chicken Pho in Hanoi (Pho ga), you should go to Bat Dan restaurant in 49 Bat Dan street in Hanoi Old Quarter. 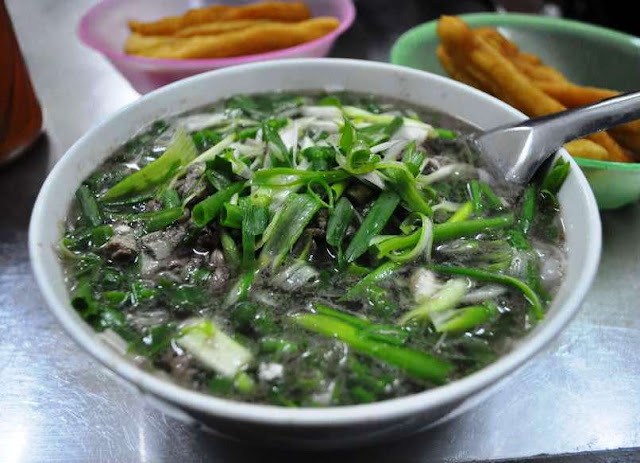 But if you'd like to eat the best beef pho in Hanoi (Pho bo), you go to the restaurant in address: 13, Lo Duc street, Hai Ba Trung district, Hanoi. How many is the price of "Pho bo" or "Pho ga"? 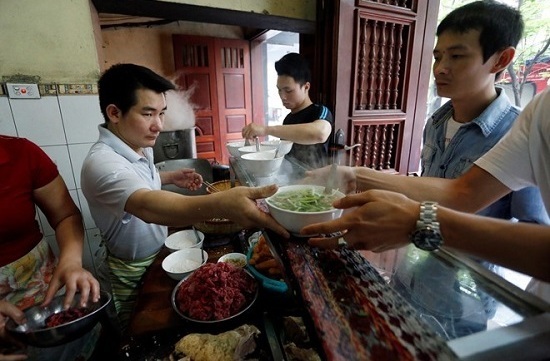 The price of a bowl of beef noodle soup or chicken noodle soup is about 50.000-60.000 VND (2,3$). To request a bowl of beef or chicken noodle soup, you just told the restaurant owner: one Pho bo or one Pho ga.